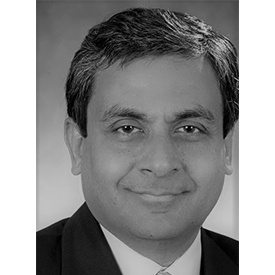 Dr. Mookerjee is the founding director of Farisquare Financial, driving the company’s continued growth. As Senior Advisor to Warburg Pincus, he is co-investor and board member of Leumi Cards, also driving the company’s continued growth. Over the prior 22 years, he has been corporate division and region head at CapOne and Suntrust, where he built billion-dollar credit card businesses and at Booz.Allen and Digital Credit, where seconded as managing advisor roles, he built billion-dollar bancassurance and sales finance businesses for AIG, GE and enduring products/platforms for Thai Farmers Bank, Fannie Mae, IBM, Cisco and D&B. Dr. Mookerjee served in India as board-member and advisor to JM Financial, KPMG, Zephyr Capital and TVS Capital and was the President of the HBS Research Center. He has served on New Jersey governor Murphy’s economic transition team. Dr. Mookerjee holds a Bachelor of Technology from the IIT-Kanpur and a Doctorate from the Harvard Business School, researching E-Finance Marketplace Structures, co-authoring the books Global Electronic Banking and Business Solutions for the Global Poor and is considered a thought leader in the fintech industry.